Does your child know that butterflies come from caterpillars? 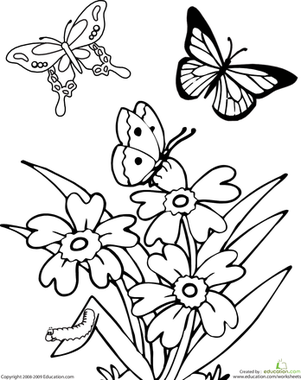 Help her practice this basic science concept with this fun butterfly coloring page, which features three beautiful butterflies on a flowering plant, along with a caterpillar. 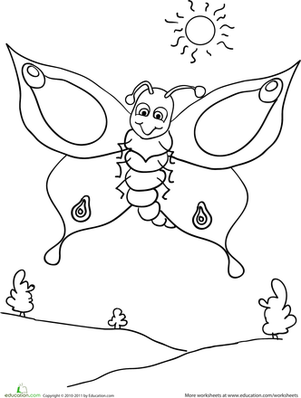 See more butterfly coloring pages. 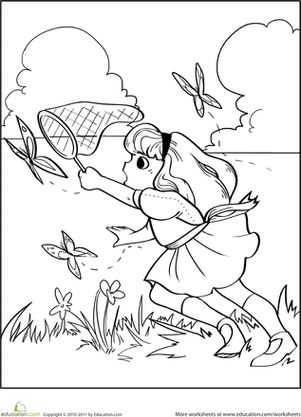 This princess butterfly coloring page features a four-winged butterfly dressed as an elegant princess! Add color to really make her pop. 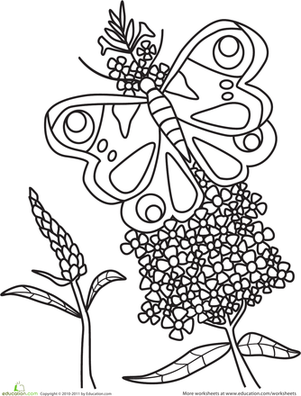 This butterfly coloring page features the winged creature stopping to smell the flowers! Add a splash of bright color with crayons. 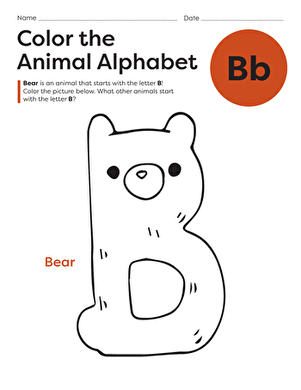 This coloring page will have your child coloring a beautiful butterfly while learning the shape and sound of the letter B. 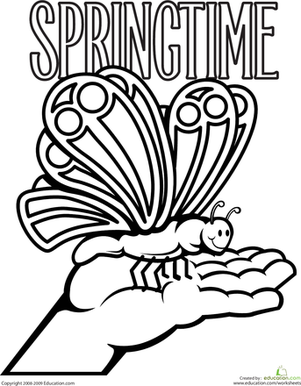 Help your child celebrate spring with this coloring page, which features a beautiful butterfly with the words "Springtime." 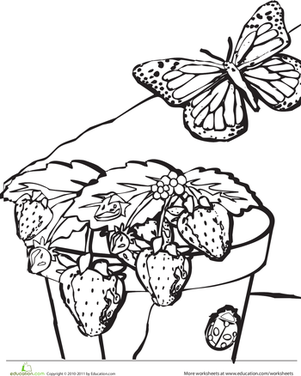 Jump into the spirit of summer with this cheerful coloring page full of fresh strawberries and a pretty fluttering butterfly. 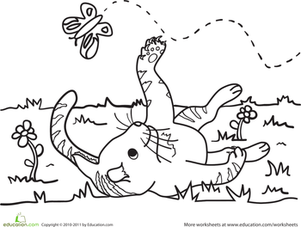 Share an adorable coloring page with your child, and give this cute dragon some color.